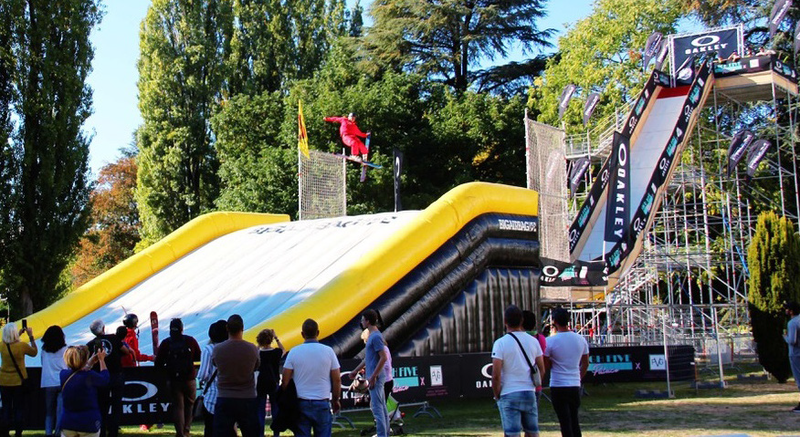 The InterFun Expo will take place from 30 April to 1 May, 2019 in New Dock Hall, set amid the Royal Armouries canalside complex in Leeds, UK. The World of Park & Leisure Homes show team has added a second date and venue to its successful event concept, with a spring show at the South of England Showground in Ardingly. The World of Park & Leisure Homes provides park owners and operators a comprehensive shop window experience, with a massive collection of leisure lodges and park homes on display and the chance to discuss your particular requirements and options in privacy and comfort. Save the date for the Trade Preview Day on Thursday 11th April 2019 with the South of England event open to the general public from Friday to Sunday, 12th -14th. 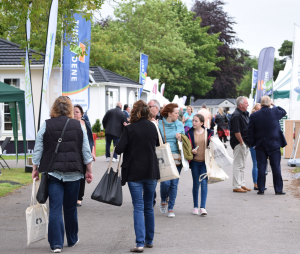 Meanwhile, the World Of Park & Leisure Homes will return in the summer, to its more familiar Stoneleigh venue, from June – 9th. The Park Holidays UK has signalled another year of major investment in its parks with the appointment of Richard Ullman to the group’s main board of directors. 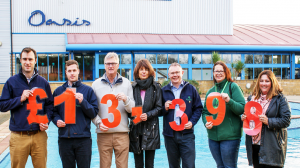 Since joining Park Holidays UK six years ago, Richard, 45, has led the company’s capital expenditure programme across its portfolio of 30 parks in southern England. 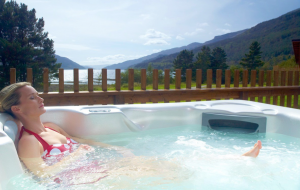 Last year alone, the group invested £28 million in a raft of upgrade projects from the building of new clubs and leisure facilities to the expansion of its holiday home rental fleet. Richard, who now takes the title of Chief Operating Officer, says he will continue driving the programme forward with the emphasis on the development of customer-facing facilities: “Our aim has always been to continually raise the bar on both the quantity and the quality of what our parks provide to guests and holiday home owners,” said Richard. “Much of our business is generated by repeat sales and personal recommendations - and we achieve this by delivering experiences which people know can’t be replicated elsewhere. “For that reason, our board is committed to a policy of escalating investment in new facilities both at our long-held parks and at those we have taken on through acquisition,” added Richard. Formed just over 25 years ago, Park Holidays UK has its headquarters in Bexhill-on-Sea in East Sussex, and in high season employs some 1,600 full and part-time staff. 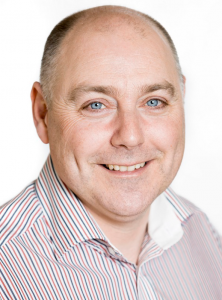 Prior to joining Park Holidays UK, Richard spent five years as divisional director of Enterprise Inns plc, Britain’s largest pub company with around 5,000 properties. 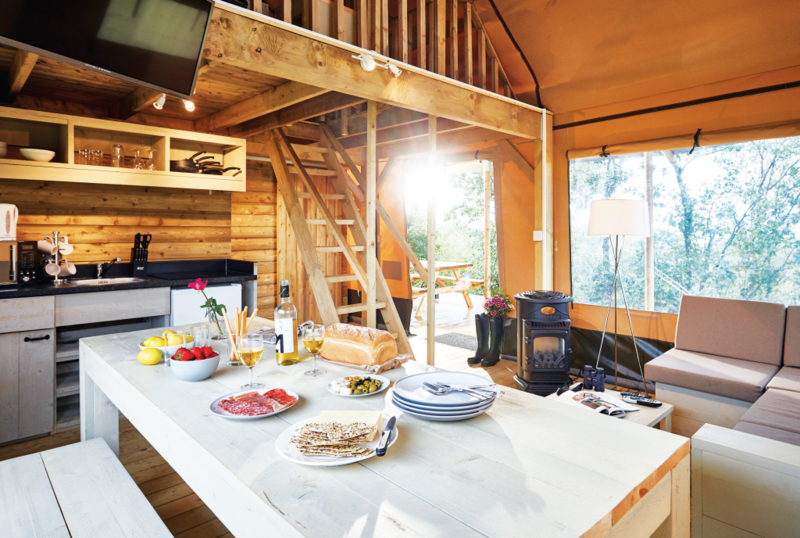 Ready Camp, the glamping brand owned by The Camping and Caravanning Club, has added three new locations across England for 2019. 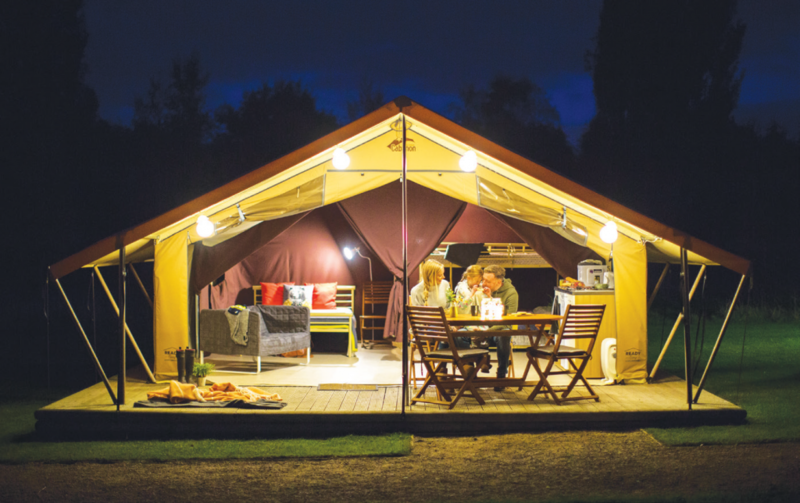 With new safari-style tents at Clitheroe (Lancashire), Kingsbury Water Park (West Midlands) and Devizes (Wiltshire), there is now a network of 242 pre-pitched Ready Camp tents at 48 locations across the UK. 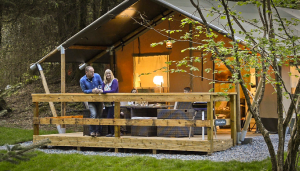 Bob Hill, Club Sites Director, said: “Ready Camp remains a top pick for hassle-free breaks and we’re pleased to extend the coverage of our glamping holidays across England this year. “It’s reported that 59% of people are planning a domestic UK break in 2019* and we’re growing to meet this demand.” Since its launch in 2015, Ready Camp coverage across the UK has more than doubled. Each Ready Camp tent is wellequipped with a kitchenette, decked area, table and chairs, triple bunk bed and a single stow away bed. Campers need only bring their bedding, towels and a sense of adventure. On-site facilities are of a high standard and benefit from regular investment. Facility blocks are within walking distance of each tent and many have locations have dedicated parent and baby rooms. Ready Camp has scooped several awards in recent years including the Best Holiday Rental for Families award at the Family Traveller Awards 2017. Ready Camp at Clitheroe sits in the heart of the Ribble Valley with several bustling market towns nearby. Further north, The Forest of Bowland Area of Outstanding Natural Beauty covers 312 square miles with rare wildlife and pretty villages that can be explored by bike or on foot. Kingsbury Water Park is located in the heart of the Midlands with attractions such as Cadbury World and Black Country Living Museum close at hand. The water park is adjacent to Ready Camp at Kingsbury and has miles of walking and cycling tracks plus canoeing and sailing opportunities. Nearby Lichfield is one of the UK’s smallest cities with historic streets, quirky shops and a stunning 13th century cathedral. Ready Campers at Devizes can enjoy the famous Caen Hill locks, a flight of 29 locks on the Kennet and Avon Canal that can be reached direct from site. It’s in a perfect location too for prehistoric sites such as Stonehenge and the Avebury stone circle. The nearby Longleat estate has 900 acres of parkland and the biggest hedge maze in Britain. Visual appeal is key in creating a lasting impression on potential customers and authenticity helps to avoid potential pitfalls later. According to Andrew, park operators shouldn’t be tempted to scrimp on imagery and video: “People can spot a stock image from a hundred paces – they want to see pictures of where they will be staying, not something from a magazine shoot in America.” To be effective, websites must not only look good but drive bookings and enquiries. 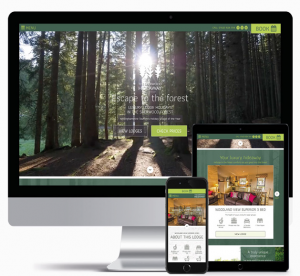 More often than not, customers need a nudge in the right direction and adding high visibility Call To Action (CTA) messages throughout a website helps to get people into the online booking process quicker. Ensuring high visibility of your website m eans embracing the so-called ‘dark arts’ of SEO and PPC. Nurturing your website with regular, well-considered content as part of aSEO strategy is almost certain to help your organic traffic build over time but PPC can offer quick wins for those with bigger pockets. According to Andrew, PPC can be an effective way to cheat the system and propel your site to the heights of Google but a word of caution… “£100 here and there really isn’t going to cut it. During peak booking periods, park operators must be prepared to spend well over £1,000 a month if they want to get their ads in front of enough eyeballs to have any sort of impact.” Modern technology is continually opening up new marketing channels. 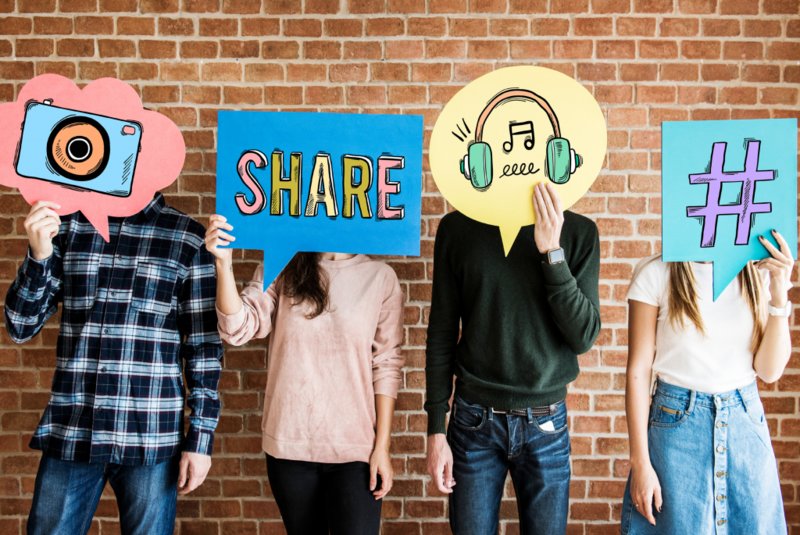 According to Industry Expert and Managing Director of Key Digital Agency, David Lakins, Voice is an area that is having a huge impact. 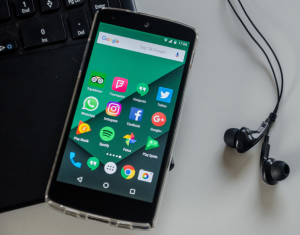 Incorporating Voice into your marketing strategy means focusing on two areas: Optimising your website for voice search, and developing your own voice assistants. “Voice searches change how your guests are searching. If your park website is going to answer the natural language questions people now use to search, your content is the first thing that should be reviewed,” explains David. In simple terms, this will mean incorporating longer voice-friendly key phrases and using question phrases in your content, for example, by creating an FAQ page on your website. Most voice searches take place from a mobile device, which gives an even greater reason to ensure your site is optimised for mobile. For David, effective marketing for holiday parks is about “having a strong digital presence - not necessarily being good at everything - but showing your guests that you understand them and the way they want to connect with a park.” Key Digital is at the forefront of looking at ways in which parks can use Voice for connecting with guests - particularly ‘in-stay’.With the popularity of voice control devices increasing in the home, it seems natural that the next step will be their use in holiday accommodation. Last year, Amazon started to trial their new Alexa for Hospitality system and as David says, “Watch this space…” Increasingly, Social Media channels are a vital route to market, as well as a key customer service tool. David believes that “more than anything, parks need to focus their attention on treating social networking as a preferred way to connect with guests.” He recommends looking beyond the three main channels of Facebook, Twitter and Instagram, and keeping an eye on the chosen platforms of the next generation of consumers. David also advises that park operators consider using influencer marketing as part of their content strategy. This means developing “meaningful customer relationships and turning them into park advocates”, as well as building links with existing influencers. Harnessing the power of video is also critical to successfully generating engagement and building followers. For most parks, effective digital marketing means time to call in an expert. According to Smart Marketing’s Caroline Farrar, using an outsourced marketing expert brings “a valuable, outside perspective to your park, leading to fresh ideas and programs that drive results.” Caroline has worked as a Marketing Consultant for Holgates Holiday Park Group (six 5 star parks in North Lancashire and South Cumbria) for the past three years. “Initially, my core focus was on their digital strategy, social channels and a new website build. Now this extends to a monthly, retained service providing marketing support and strategy guidance. Measurability and budget management is also key to this support.” According to Holgate’s owner Michael Holgate, Caroline’s great digital knowledge fills an obvious “skills gap” in their business.With digital activity now accounting for 80% of the Holgate’s marketing budget, tracking and being able to offer a demonstrable return on investment is an important part of Caroline’s remit. A fundamental advantage of digital marketing is the ability to more easily measure success and ROI. Google Analytics is one of the most popular tools, and the good news is it’s free and easy to use! Andrew Hampton says Google Analytics should be “your best friend.” His agency, Pitched, use it on a daily basis. “Once configured, Google Analytics will record everything you need to know,” says Andrew. “From revenue from social media and email campaigns to your PPC performance, this is the place where you can view it all with relative ease.” With this increased, modern focus on digital marketing, it’s important that park operators implementing an integrated marketing strategy don’t ignore offline opportunities such as print (see case study) or more traditional communication channels. Think back to your earliest holidays… or even your most recent one. 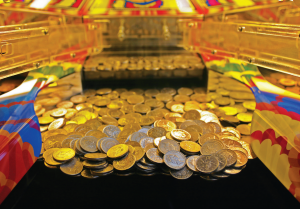 Chances are your memories include at least one desperate attempt to strike it lucky on a coin - flipping machine or prize grabber. It’s no wonder really. 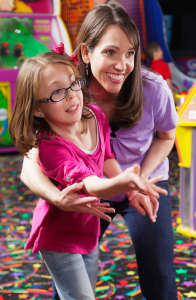 Amusements like these inject fun and excitement into a family’s holiday experience – keeping them wanting for more. While we all want our guests to enjoy themselves, our main objective is to generate revenue. And amusements, attractions and ride-on equipment do just that by allowing you to increase your sources of income. It’s important to remember, however, what a big investment holidays represent for most families. Here in the UK, research from travel booking site Expedia found that, on average, a nine day holiday comes with a £2,417 price tag. Importantly, this figure includes the little extras, such as a flutter on the fruit machines or enjoying activities together. And those extras can quickly add up to something significant. That’s why it’s important to identify the right mix of amusements and attractions to boost your bottom line. While there are a wide-range to choose from, we look at the latest trends in the hopes that one (or more) will enhance your offering. We Brits love a good amusement or attraction when we’re on holiday. Indeed, at some point in their lives, 72 per cent of adult consumers have played with amusement equipment, according to research from Price Waterhouse Cooper (PwC).British Amusement Catering Trade Association, estimates there are more than 310,000 machines in the UK alone played regularly by 14 million people. While many can be found in pubs, clubs and adult entertainment centres (AEC), a large number can be found in the UK’s more than 1000 family-entertainment centres (FEC). 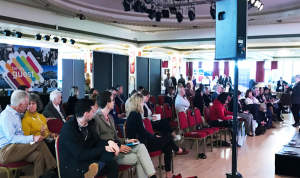 Many will be familiar with destination venues, such as Brighton Palace Pier – which attracts more visitors than Stonehenge – and Namco Funscape in London, on London’s South Bank, as well as the multitude of smaller operations, including those at holiday parks. Leading the way has been glamping in all its different forms. What began as a type of accommodation characterised by quite basic timber huts has now evolved into a sophisticated and often luxurious staying option for people seeking a new holiday experienceIn addition, park-based glamping holidays are being increasingly featured in the media where they are often described as ‘cool’, and highlighted as a much more exciting type of escape than a hotel or rented cottage. "Often these types of accommodation attract younger generations, and we see plenty of evidence of this with those booking our fully equipped safari tends and top-end glamping modules based on the Swift S-Pod,” says Henry. "Motorhomes are also very much on-trend with younger holiday guests, and last summer we saw a rise of eight percent in the number of motorhome bookings compared with the previous year, with the result that motorhomes now occupying almost half of our touring pitches.” Henry goes on to explain that the continuing confusion surrounding what Brexit will mean for travel in Europe next year also appears to be driving UK holiday makers to play it safe and holiday closer to home. "Another factor which couldn't have been predicted a decade ago, and which has also broadened the appeal of parks to new markets, are concerns over Brexit and the accompanying fall in the value of the pound .which has driven up the cost of holidays overseas,” he comments. "Combine this with a series of spectacular summers in recent years, and many people are now questioning whether a UK holiday might offer more fun and a lot less stress than going abroad. 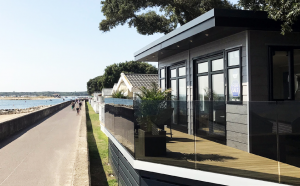 The superbly high standards of modern holiday homes reinforces the argument, and makes a pretty persuasive case for owning a holiday home in this country.” According to holiday park owner and operator Bridge Leisure, the uncertainty surrounding Brexit is already having a positive impact on UK staycations. Their advance bookings for 2019 have seen a 30 per cent increase across their nine parks, with Ashbourne Heights in Derbyshire already up by 150 per cent on the same period last year. CEO Andrew Howe believes they are definitely benefitting from the Brexit effect, he said: “Staycations are becoming increasingly popular anyway but with the lack of clarity around what a deal or no deal Brexit means for travellers, people just want to avoid any nasty surprises and seem to be opting for a UK holiday instead.” To meet the demand, Bridge Leisure are continuing to invest in their accommodation options, to ensure that they are hitting the spot when it comes to their customer’s expectations. 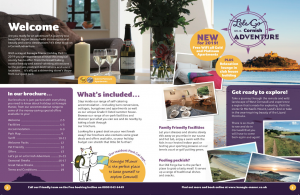 “Staycations are becoming more and more popular, so the various types of accommodation continue to evolve and develop to meet what the customer is looking for in all sorts of shapes, styles and sizes,” says Andrew. There is no shortcut to risk assessing each and every park-owned unit onsite. 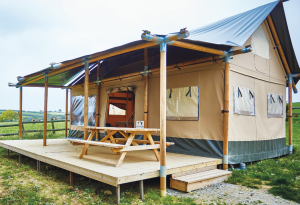 The risks associated with a caravan holiday home or lodge will differ from those associated with a glamping pod, which will differ still to those associated with a tepee, safari tent or ready tent. Parks should ensure that all park-owned accommodation meets relevant regulatory safety requirements. This is also required by the Policy wording. Subsequently, units should be kept in good condition and it is crucial that records of all operating procedures, maintenance, checking and cleaning are meticulously documented and kept readily accessible. The Compass spokesperson warns: “If a park cannot prove, using up-to-date and documented evidence, that it has taken all reasonable steps to minimise health and safety risks, it may be impossible for an insurer to defend a liability claim. The park could also end up in trouble with the HSE!” According to Compass, the type of cover and the cost of insurance will vary according to the type of accommodation on a park. This is relevant to the risk presented. For example, it may be more expensive to insure a pod with a wood burner than one without, simply because there is more likelihood of a fire-related incident where a wood burner exists. Premium costs will also vary depending on the number, variety, age and value of the units requiring cover. “Insurance can be expensive so while it is very important not to underinsure, over-insuring won’t help either! In this regard, maintaining an accurate valuation of park-owned accommodation is vital,” advises the spokesperson. “The value of accommodation should be reviewed on an annual basis, but policies can and should be amended mid-term too if new units are purchased or sold. It is important to keep your insurer informed about investment and development throughout the year so that they can ensure your policy is fully up-to-date.” To keep things as simple as possible, park owners would be wise to choose a specialist provider that can cover all of their park-owned accommodation under a single policy avoiding issues, should a claim occur, over which provider is responsible.